Crafted with a chic diamond cut design, these charming 9ct white gold drop earrings are a beautiful formal accessory which will never fail to be noticed. The perfect gift for that special someone or a delightful treat for yourself. 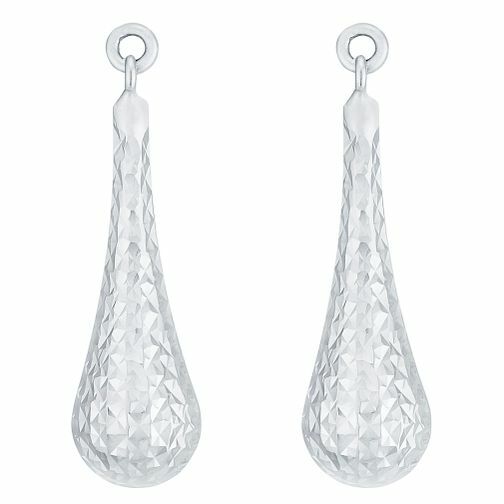 9ct White Gold Diamond Cut Drop Earring is rated 1.0 out of 5 by 1. Rated 1 out of 5 by Anonymous from Very Poor Quality These were the cheapest, crudest ear rings I have ever had the misfortune to buy. They looked and felt as if they had come out of a cracker. My wife wore them once and then we threw them in the bin.